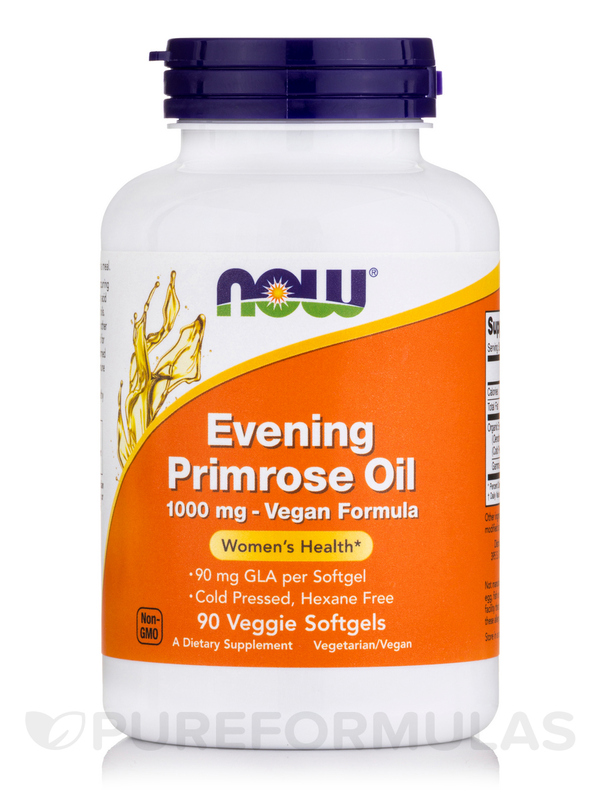 NOW® Evening Primrose Oil has naturally occurring gamma linolenic acid (GLA)‚ an omega-6 fatty acid also found in borage and black currant seed oils. 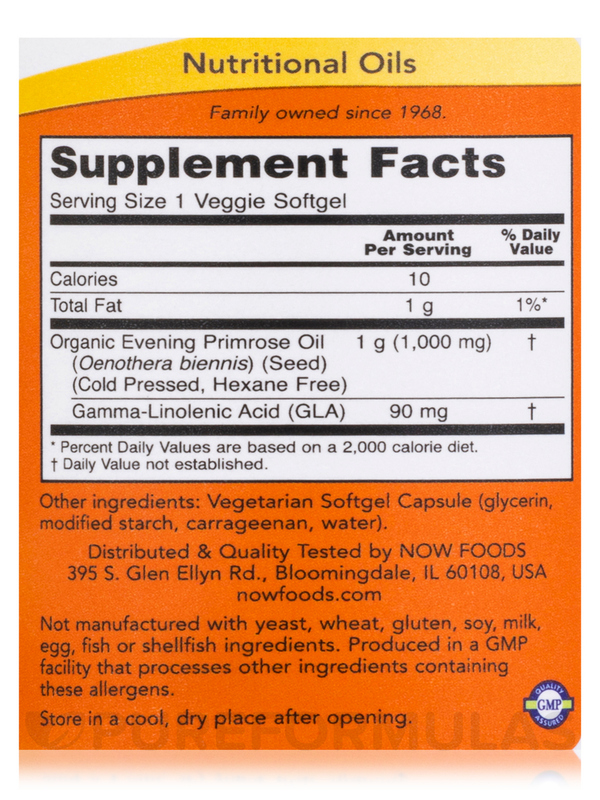 Although the body can synthesize GLA from other dietary fats‚ it can be more efficiently utilized for bodily functions when consumed in its preformed state. 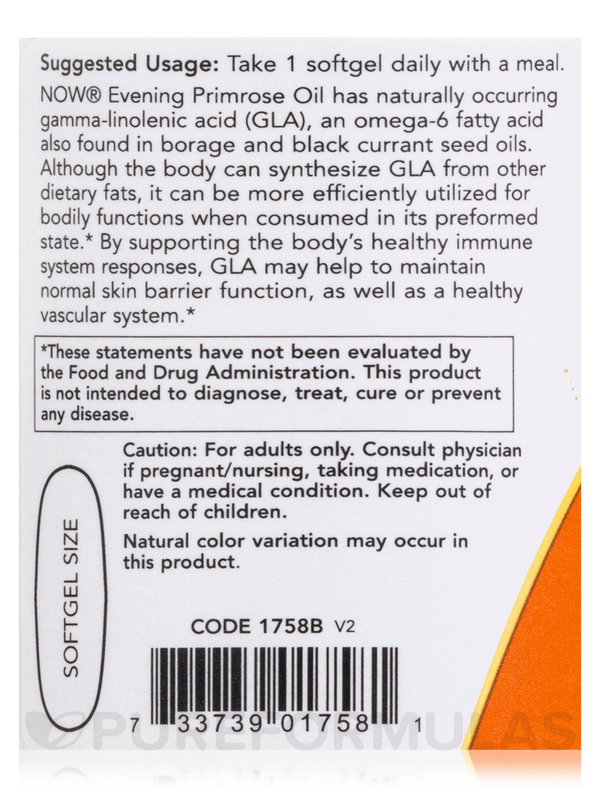 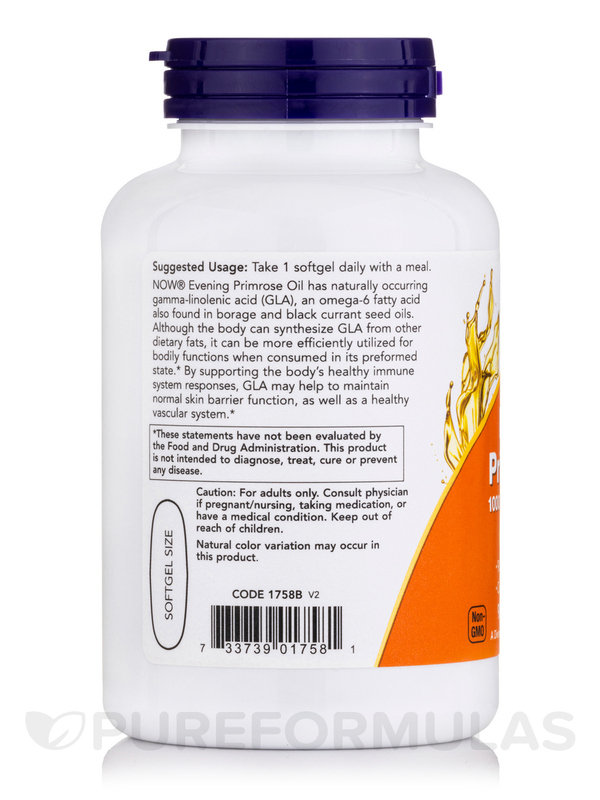 By supporting the body’s healthy immune system responses‚ GLA may help to maintain normal skin barrier function‚ as well as a healthy vascular system. 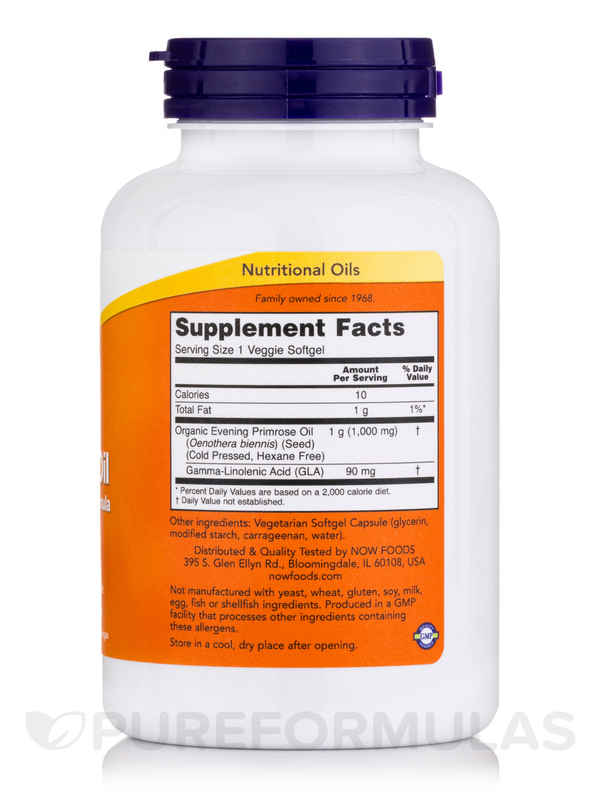 Hexane-Free / Non-GMO / GMP Quality Assured.